A while ago a friend of mine asked me to meet her Kmart, she was picking up pizza for her students, so we can hang for a minute before she had to go in to work. So of course we had to peruse the aisles and they were having a big sale on clothes including their Nicki Minaj collection which I hadn't seen before. This dress is part of the Nicki Minaj collection and was on sale for only $8 on sale. Can't beat an $8 dress. Overall I was pleasantly surprised by the line. It is a line for Kmart however, so you have to have reasonable expectations, it's not super high-end with high end fabrics; but I didn't pick up a couple really cute pieces and a steal of a price. And I love the fact that she has gone the affordable collection route so that her fans and others really can afford to buy her pieces and potentially look good on a budget. 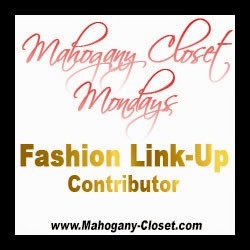 As I mentioned last week I am thinking about starting to have guest Co-Host for the Link-UP so if you are interested in being a co-host one week then email me at mahgoanycloset@gmail.com and let me know. 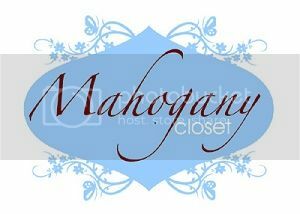 Mahogany Closet Mondays is BACK!!!!! So I know I have been gone for a really long time and I have missed everyone and blogging in general! I just had a lot going on in my personal life and needed to take some time away. My dad was in the hospital for a month, he later had to have an unrelated surgical procedure and recently had a seizure and ended up back in the hospital, but he is slowly doing better now. I also had a close family member who was like a little brother to me lose his life long battle to cystic fibrosis at the age of only 23. Despite all he had been through his entire life he was such a sweetheart and so strong. If you didn't know he had cf you would never think he was sick. He just held him self with such pride and grace and was always smiling and laughing. He never really complained even though he had every right to considering all he had to go through. He just wanted to be a light for others, which he was, and spread awareness about cystic fibrosis. I know things got really tough for him in the end so I say to you my My GJ rest in peace and breath easy!!! Budget Outfit Details: The dress I got like 5 years ago from Ross. I also forgot that I had it, but I thought it would go well with the boots. I don't remember exactly how much I paid, but I know it wasn't more than $15.00. I love this wide brim hats. Everytime I wear them I feel like I'm channeling my inner Lisa Bonet circa 1987. I got it from Forever 21 for about $20. 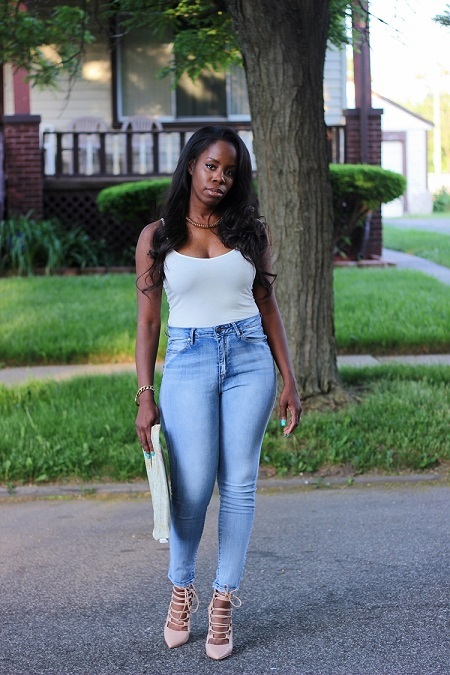 The boots I got from JustFab for $40. I want to start having guest Co-Host for the Link-UP so if you are interested in being a co-host one week then email me and let me know.